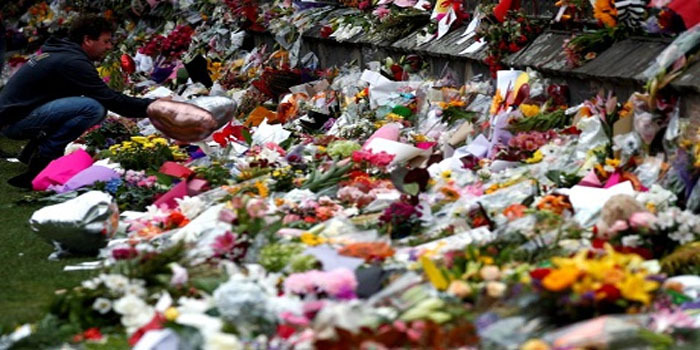 Egypt’s Ambassador to New Zealand Tarik El-Wasimi on Monday offered his condolences to the families of the four Egyptians who were killed in the mass shootings at two Christchurch mosques on Friday. El-Wasimi conveyed the condolences of President Abdel-Fattah El Sisi and Foreign Minister Sameh Shoukry to the families, saying Egypt is ready to transport the martyrs’ bodies to their homeland immediately, MENA reported. The ambassador also visited those Egyptians who were injured, and noted that all of them are in a stable condition. He also had a meeting with the Egyptian expats in Christchurch to support them and listen to their demands. Present at the meeting were representatives of the Coptic Orthodox Church in the city.